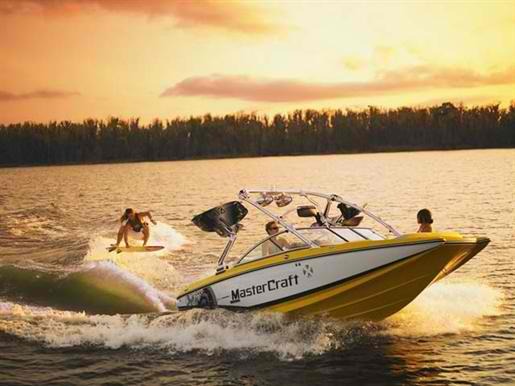 Enjoy South Fork boat rentals, jet ski, water sports, and lake tour services at this state recreation area in Nevada which surrounds the 1,650-acre South Fork Reservoir. Located 15 miles south of the town of Elko, it is in the Central Nevada Region of Nevada State Parks. The park comprises the reservoir, impounded on the South Fork of the Humboldt River in 1988, surrounded by 2,200 acres of marsh, meadowland, and hills. Facilities include a 25-site campground, a boat ramp, water skiing, wakeboarding, tubing, wakesurfing, air chair, and a parking area near the South Fork Dam. The reservoir is known for its trophy-class trout and bass fishing. South Fork Canyon, located below the dam, is available for hiking and biking. It is popular for hunting, camping, boating, picnicking, winter sports and wildlife viewing. The park is best known for its trophy-class trout and bass fishery. Facilities include a boat launch, watercraft, campground, trailer dump station and picnic area.